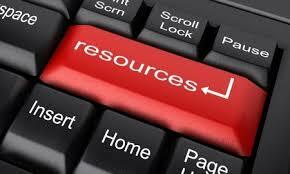 Here are some great legal sources for you to worldwide sources of legal information. Founded in 1878, the ABA is committed to supporting the legal profession with practical resources for legal professionals improving the administration of justice, accrediting law schools, establishing model ethical codes, and more. The Canadian Bar Association was formed in 1896, and incorporated by a Special Act of Parliament in 1921. The Canadian Bar Association represents over 37,000 legal professionals in Canada. The Law Society of the UK represents solicitors in England and Wales. The Law Society is in charge of lobbying the profession’s regulators, government and others, to offering training and advice, to help, protect and promote solicitors across England and Wales. The China Law Blog discusses the practical aspects of Chinese law and how it impacts business there. The aim of the site is to assist businesses already in China or planning to go into China. The site is run by IPG Legal which is recognized as one of the leading firms operating in the Asia-Pacific markets. The site blogs about all matters related to Korean legal issues as they affect investors in Korea. Globalex is the digital legal publication of the Hauser Global Law School Program at New York University School of Law. It has an extensive collection of laws from many countries around the world and comparative law collections as well.